This timeless knee-length red strapless dress should be a must in the wardrobe of every woman, celebrities love wearing this red bandage dress. 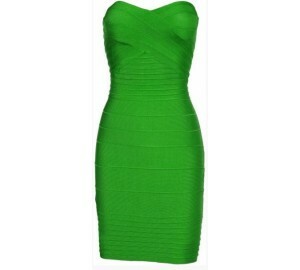 This red bandage dress can be worn as a party dress or a casual dress. 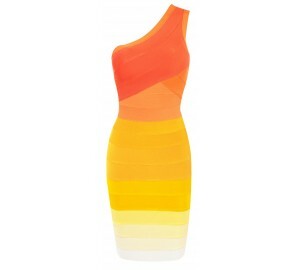 The strapless cut flatters all shapes and solid bandage fabric ensures that you get a gorgeous hourglass figure. Complete the look and wear great jewelery and killer heels!